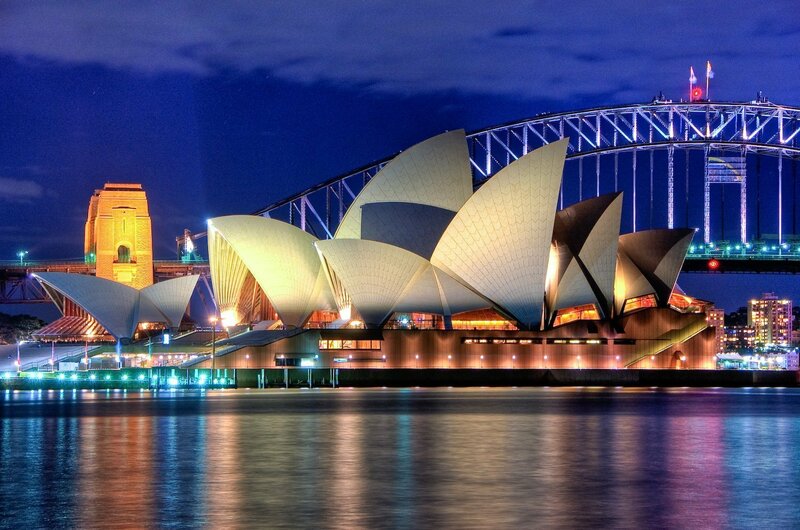 The perfect solution to keeping the Sydney Opera House in pristine condition proved to be Triple7 Heavy Duty cleaner which provided better results than the previous regime without concerns of toxic run-off or damage to the building. The solution proved to be cost effective with the maintenance crews spending less time achieving greater results. Triple7 Heavy Duty is helping secure the future of two of Australia’s most recognised and revered icons and the aquatic life in Sydney Harbour is safe from harm. Sydney Harbour’s place in Australia’s history makes its preservation for future generations and important priority. By choosing Triple7 Heavy Duty the Sydney Opera House is playing its part in securing the future of this iconic waterway. It’s ironic to think that a poor choice of chemistry would have seen the operators preserving one icon at the expense of the other. Australian’s and, indeed the world, would expect that the operators of such a revered landmark would act responsibly and ethically – especially when it comes to the fate of Sydney Harbour. By removing the risk of harm to the environment the operators have done away with the potential for costly and distracting negative media attention. The management of Sydney Harbour’s ecosystem is an on going challenge for government and environmental authorities. By choosing Triple7 Heavy Duty the Sydney Opera House has chosen to be a leader in innovative environmental management and will potentially inspire more businesses in the harbour area to look more carefully at their own chemical regimes practices. Keeping Australia’s iconic Sydney Opera House in pristine condition involves a wide variety of maintenance including regular exterior cleaning. When it was discovered that current wash down chemicals weren’t performing effectively an alternative was sought. Most effective cleaning agents under consideration carried the risk of harm to the sensitive Sydney Harbour Environment due to waste water run-off. Preserve two of Australia’s greatest assets at the same time. Safely clean the exterior of the Sydney Opera House without contaminating Sydney Harbour with toxic wastewater run-off. In order to achieve high performance cleaning most chemistries in use today are selected for their powerful action. Unfortunately this power is rarely confined to the desired cleaning effect and inevitably produces a range of other undesired or harmful side effects. The source of cleaning agents in water-ways is usually associated with direct run-off or leaching. The actual environmental impacts can be the result of the cleaning agent itself or harmful compounds produced when the agent biodegrades or reacts with other chemicals in the environment. The range of harmful environmental effects to sea life is vast and includes changes to plant and animal reproduction, physical development and behaviour. Even when confined to local scale these changes to plant and animal populations can, in turn, have a far wider impact on the global ecological system. One of the main culprits in waterway pollution comes from phosphates, which are common in many cleaning agents including commercial and household detergents. When wastewater containing phosphates enters waterways it can lead to toxic algal blooms which suffocate marine life and make the water hazardous to humans. The perfect solution for the Sydney Oopera House proved to be Triple7 Heavy Duty cleaner which provided better results than the previous regime without concerns of toxic run-off or damage to the building. The solution proved to be cost effective and required no change to the maintenance regime. Triple7 is a range of highly powerful, 100% bio based, industrial and commercial grade cleaners and degreasers that are non-toxic, protect the cleaning surface, are environmentally friendly, and safe for use in sensitive environments. Triple7 formulations are homogenous blends of colloids, organic sequesterants and hyper-wetting agents that become ‘super active’ when processed together. Despite its powerful cleaning effect Triple7 Heavy Duty has is safe to release into sewage systems and storm water drains in and around sensitive waterways. In fact the addition of Triple7 Heavy Duty to wastewater systems can actually improve overall water quality by helping to break up pollutants allowing for faster biodegradation in the environment or in downstream processing.